I saw this spider the other day and am reasonably happy with how it turned out. At my parents house in South London/North Kent, I turned over a stone to photograph the ant woodlice and saw these 2 insects which in 20+ years of looking under stones there I have never seen before. So the quality is not very good, however as they are so unusual I thought that I would share them, any ideas what they are? 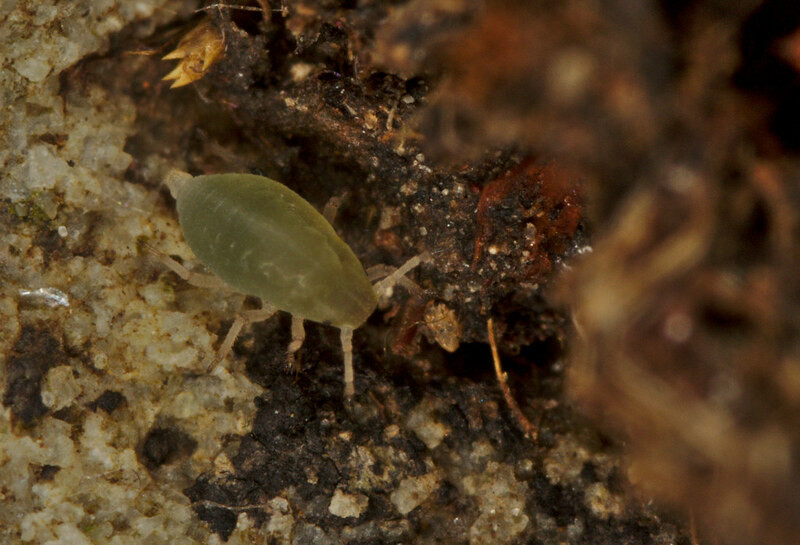 The general appearance suggests to me an immature "root aphid", perhaps some sort of Phylloxera . What you have are almost certainly not true aphids because they have no visible cornicles . Thanks for that presumably they are farmed by the L Flavus ants. Good! 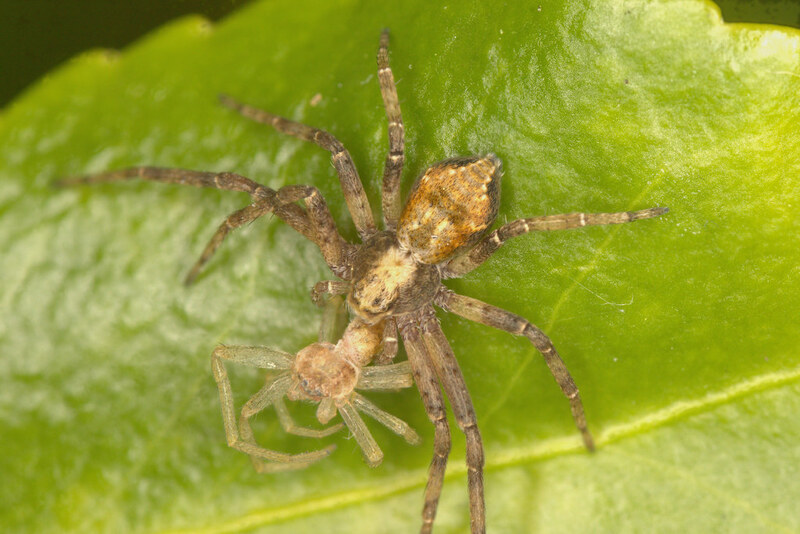 I venture that the spiders are a kind of running crab spider. One is being eaten. 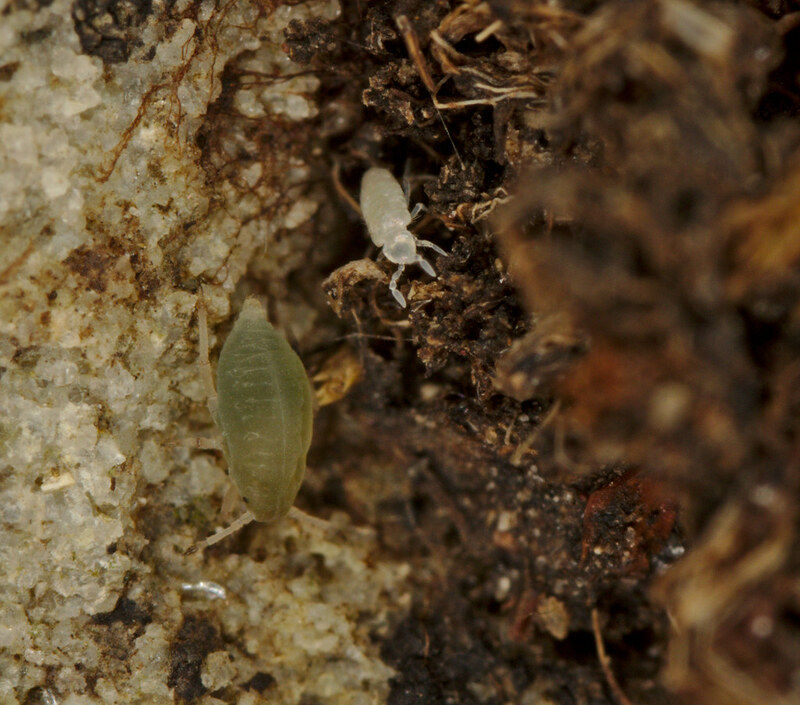 The white one in pic 3 is most likely collembola, really diverse looking critters.